Khloe is my fave Kardashian. I think she's absolutely hilarious and beautiful. Khloe opened up on her blog about how she couldnt believe she'd snagged the cover of Cosmopolitan. “I think you meant to send this Kim.” She says she told her publicist. Her publicist quickly replied “No crazy girl! This is for you!” lol! Check out more pics and her comments on her hubby Lamar after the jump! I know so many people who like Khloe the most.. not to say anything about her sisters, but she is just the one they identify with the most. She shouldnt sell herself short by assuming that everybody wants to see Kim. 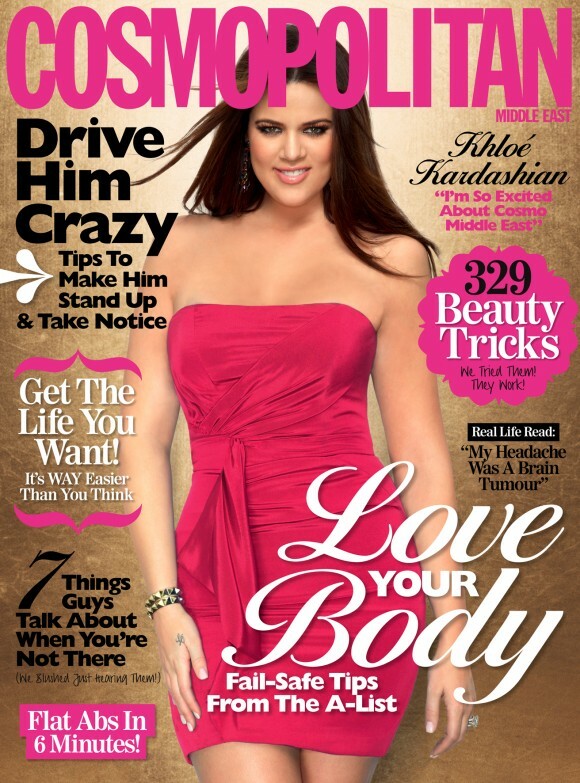 lol...... Not only is Khloe on the cover but she is also the first ever cover girl for Cosmo Middle East! Congrats to Khloe!!! !